Editor’s Note: This is both an announcement and a congratulations to editors Nancy Rafal and Henry Timm for launching N.E.W. 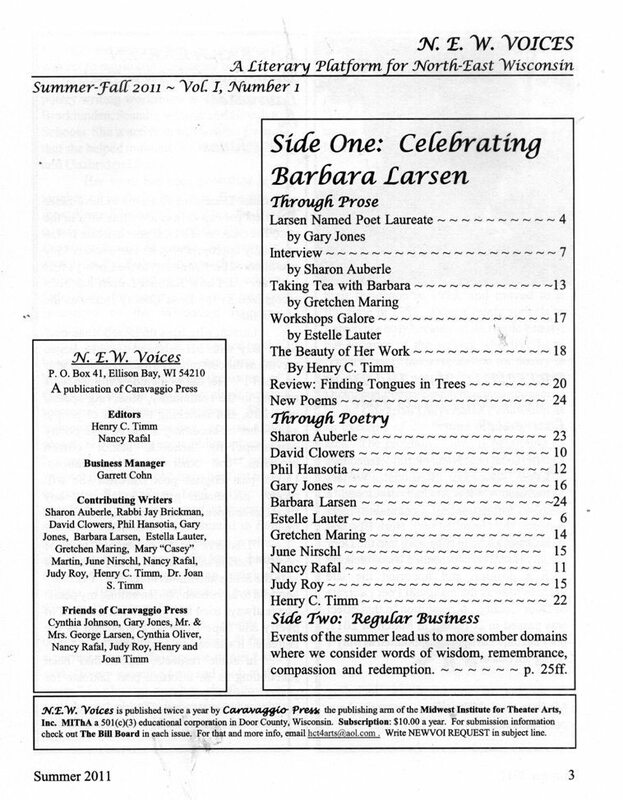 VOICES, A Literary Platform for North East Wisconsin, published by Caravaggio Press. The county has been too long in dire need of a legitimate and handsome publication such as this to feature its many accomplished writers. 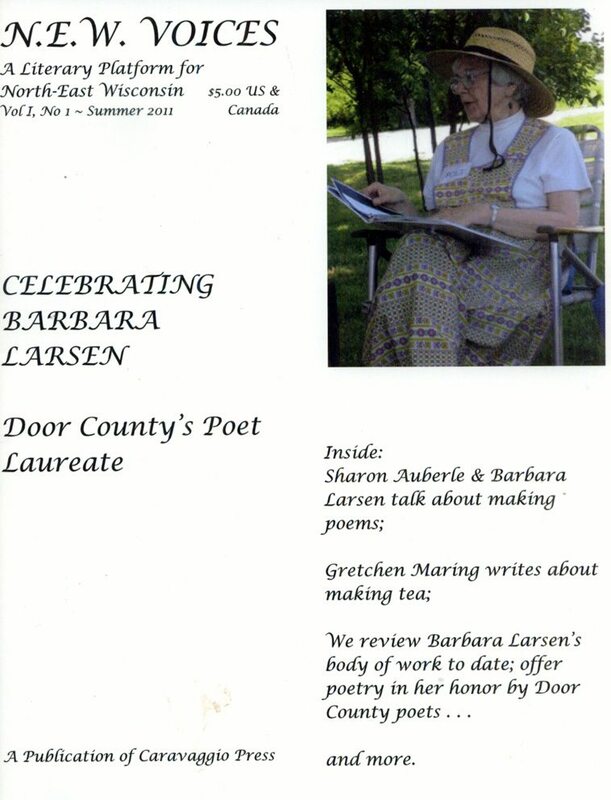 A quick look at the table of contents reveals a number of local poets and writers featured in this first issue, and an acknowledgement and celebration as well, of our current Poet Laureate of Door County, Barbara Larsen. “Little magazines” have a long and significant literary history in this country. Every major writer, Pound, Faulkner, Hemingway etc., began in this small way, a universal rite-of-passage for authors throughout the world. It is important to note that little mags are born and die every day— which is their nature, given the time and expense it takes to get a single issue in print. Given all that it demands in pure energy and devotion to keep everything going, though sales are mostly minimal, subscriptions chancy at best, patrons few and far between. ……………..on a spring day like any other. for my weekly basket of plums. How many plum words are there? that first sweet, purple globe. Suddenly the day is singing. I puzzle over Eve’s choice of an apple. might have changed the world. TO SUBSCRIBE: For one year (two issues and all the broadsides we happen to publish) drop a line to Caravaggio Press, P. 0. Box 41, Ellison Bay, WI 54210, giving us your regular mail address, your email address, and a check for $10.00. We’ll pay the postage when we send the magazines. That’s a real deal. Broadsides come by email as pdf files. DONATIONS: Once again, remember, we are a 501(c)(3) business and all donations are tax deductible to the full extent of the law. You’ll also get our eternal gratitude and your name will appear on every thank you list we make along the way. In coming issues we will be soliciting sponsorships which will be discreetly manifested on the inside of our covers. These sponsorships will help to underwrite the cost of printing the magazine. Congratulations to Nancy! She said she was going to do this, and she did. 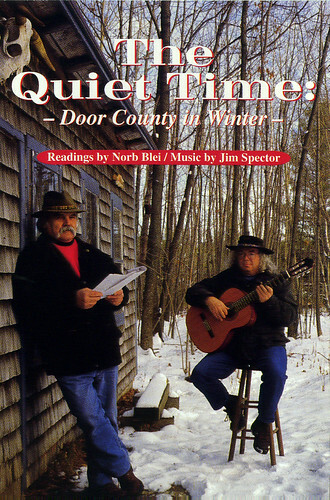 Well, there are lots of fine NE Wis. poets to fill the pages!! I look forward to reading them all. Poets are communicators. Literary artists who reflect the songs of their inner world and cast an eye,perhaps a jaudiced eye on mankind around them. N.E.W.Voices is a new venue for both. In times like these our collective voices may be called to stir conscience luled by the white noise of twitter and politics. Thank you to Nancy and Henry.Cheers, Phil Hansotia. Thanks for publicizing N.E.W Voices. It is a beautifully put together literary magazine and Nancy and Henry deserve many kudos for their hard work and vision. I was very honored to be included in the first issue and can hardly wait for the next issue to come out. It will be a joy to receive.